Classic Sports Cars group will be various sports cars between 1960 - 1989 which are not considered apart of any of the other groups. We have not yet determined a full car list for this group and invite the community to have their say for cars they would like to see in our forum via the relevant thread. Click HERE. The Classic Supercars Group will be split in various classes and will provide classic supercar models between 1950 to 1989. 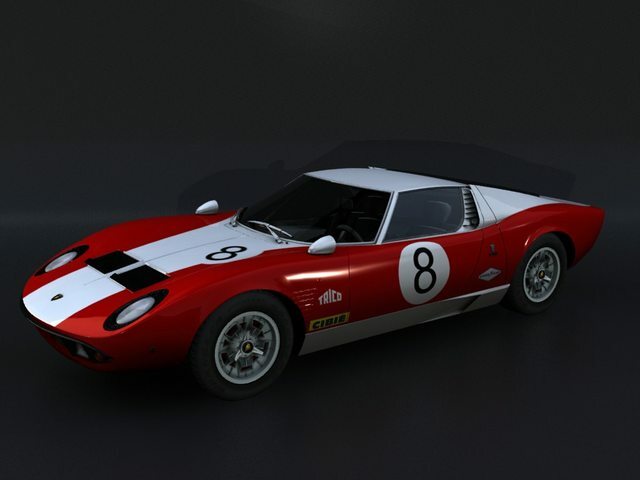 Cars such as the 1968 Lamborghini Miura and 1963 Ferrari 250 GTO will be housed in this group and we will be showing off the progress we take with the Lamborghini Miura to bring you along the journey from modeling to in-game starting from today. This group will provide cars that are considered to be in the Classic Muscle genre of automobiles. 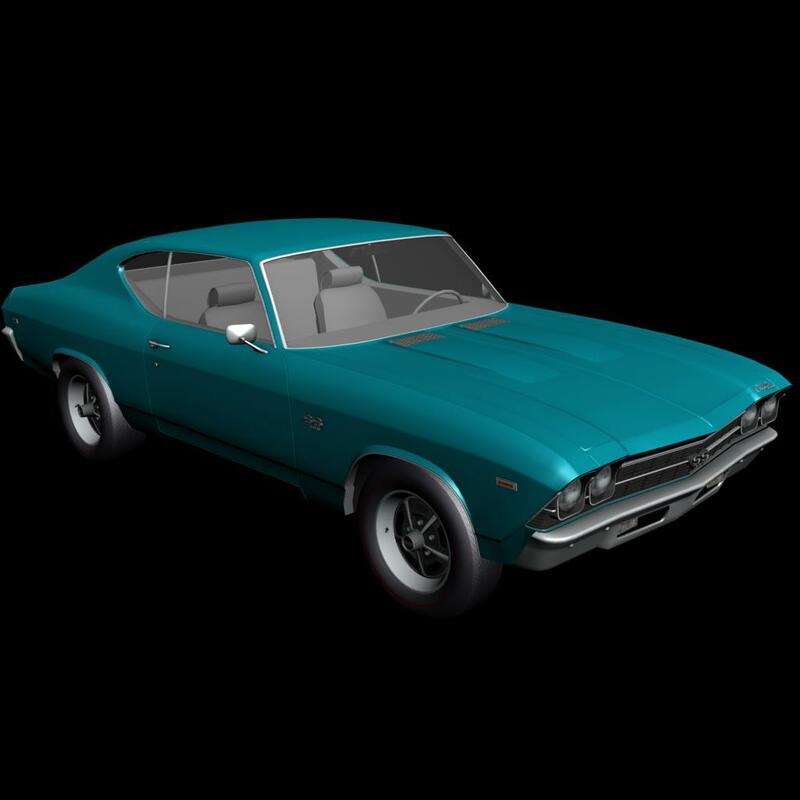 Cars like the 1970 Dodge Challenger R/T and the 1968 Chevrolet Camaro Coupe of which we showed renders of yesterday. This group will also include more cars through expansions as we build up the car list over a period. The group will also have classes to differentiate cars from different decades which have a large difference in performance. Classic Touring Cars Group will bring a various number of classes giving players a race version of many of these classic cars that were used in those days. This group also intends to have the 60s/70s Australian Touring Car Championship cars within its own class including a classic 60/70s version of the Bathurst track. This group will provide standard road cars that don't fit in the other genres that existed between 1960 to 1989. We have yet to determine how we will structure the classes but we will give info on that in the future. Greetings fellow rF2 players and modders alike. We at MAK-Corp felt it was time to share more on the Classic Cars mod project and keep the community more in the loop with the progress of the mod as well as the hope of acquiring more community help. The mod is progressing well but we have a large backlog of cars that need to be mapped and painted. Due to the shortage of uvmapper's our mods are progressing slowly. PLEASE NOTE: The modelers and artists who work on the classic cars mod are not the same guys who work on the F1 2008 Mod. These are guys who do not model open wheelers so lets not have posts of how this mod is impeding another. We do however need more help so we can get all the cars mapped and painted so we can release them sooner for all of you to enjoy. Engine sound composers would be a good help too to ensure they get the best sounds. We hope you enjoy the progress we show through this thread. Anyone interested in helping can get in touch with me via this thread or by sending me a private message. We are always looking for any extra hands to help us. The shortage lies mostly in UV Mappers, Painters and Sound composers though we welcome anyone from any field. We aim to provide cars built with quality for all of you to enjoy. Below are links to albums of cars we have shown thus far, we still have more we will be rendering to show over the coming days as well as showing progress of cars that are being modeled currently. For now we'll be posting links to the albums on our facebook page and the next shots will be shown via image attachments here in this thread. Well today we're showing off the first livery for the Lamborghini Miura done by newcomer Nigel Phelan who has joined our 2D Department. Nigel Phelan of NWRAP is known for his texture work in the EWOR mod for rFactor as is his group who made the mod. I'd like to thank him and the other NWRAP members who have joined up to help! More renders to follow later. Hey guys. We've been working on things and thought I'd give another update. Below we have two simple renders of the interior for the DMC Delorean road version. 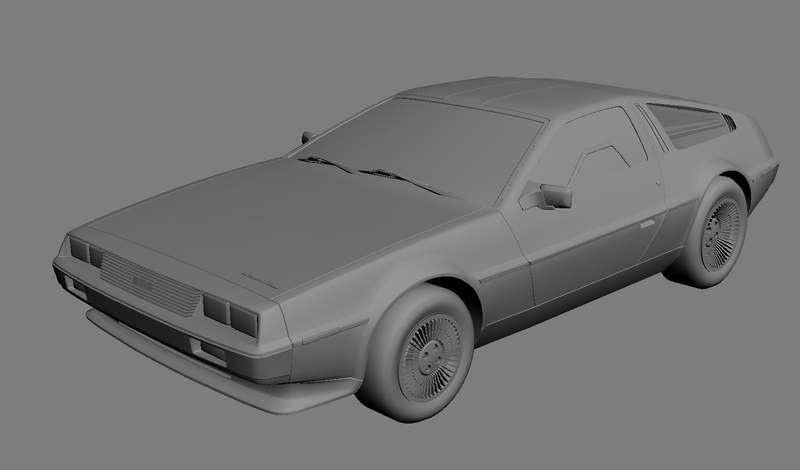 Before anyone asks, yes the Delorean road version is now completed model wise and we're working on the Back to the Future version. The DMC Delorean is modeled by MAK-Corp Modeler Dimitriy Barishev. 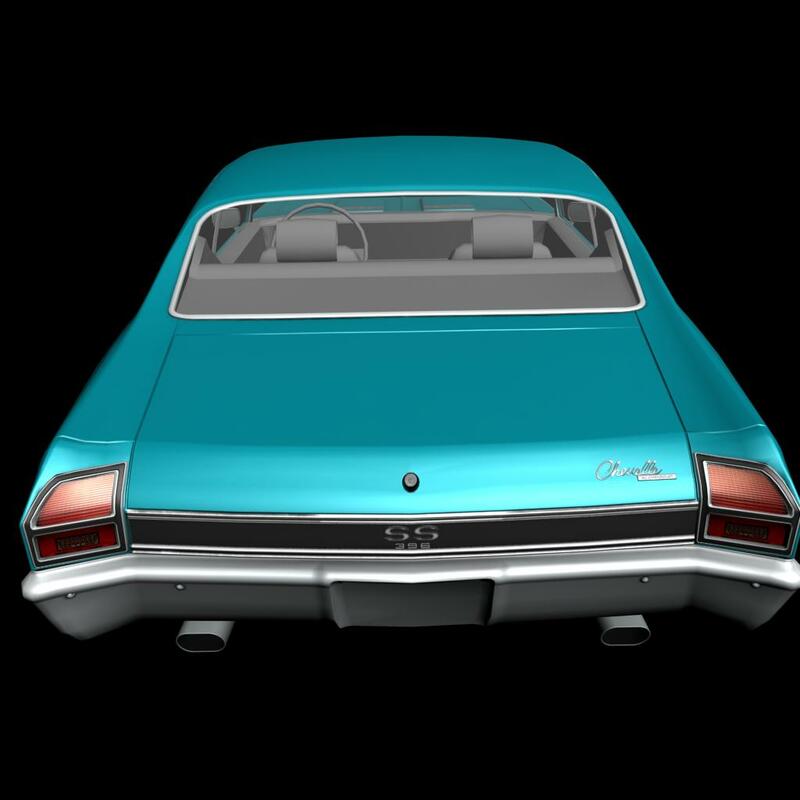 We also have some progress on the texturing process of the Chevrolet Chevelle done by FLED. Enjoy! Now, for the good stuff. Here are some nice previews of the 1981 DMC Delorean which ISI Forum member Yarach requested. This is one of the community requested cars we've decided to do. This model is done by Dmitry Barishev another one of MAK-Corp's 3D Artists. 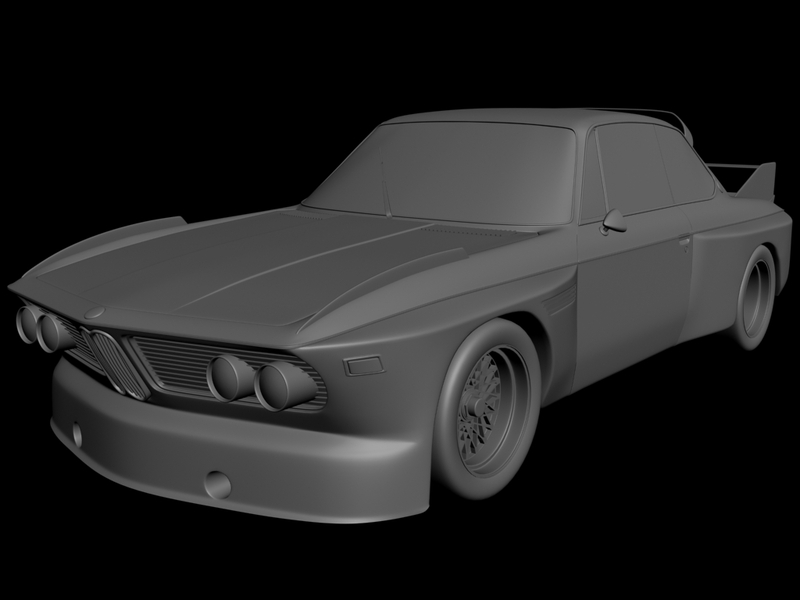 We also have previews of the 1973 BMW 3.0 CSL Group 2 modeled by Balazs Tabanyi. We hope you enjoy these previews. Hey guys, time for another update. 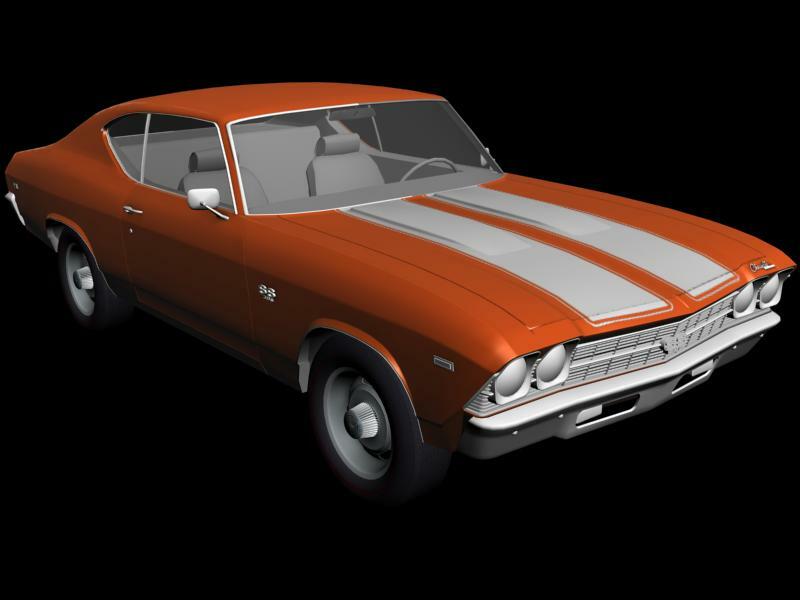 Here is a look into the 1969 Chevrolet Chevelle Modeled, mapped and currently being painted by Condraciuc. The car is progressing well and will be included in the Classic Cars mod along with the El Camino he modeled. This is a look at the current progress so enjoy!